Linda Jenkinson is a serial entrepreneur who has built three multi-million technology-enabled services companies with successful exits. Linda is an experienced executive and strategist in global travel, hospitality, corporate loyalty, financial services and on-demand delivery. Her career has spanned being Partner in a global strategy consulting practice (focused on financial institutions), a founder of several startups, running companies as CEO, and taking on public, private and non-profit director roles. Linda is an experienced board director. She currently serves as a Director for Air New Zealand (AIR.NZ) and as a Director for The Guild (www.guildgroup.com.au). She is the former director of DMS Corporation (DMSC) and Chairman of John Paul. Linda is the first New Zealand woman to take a company public on the NASDAQ Exchange. She has received multiple awards for her entrepreneurial efforts in the United States and New Zealand. Linda is a serial entrepreneur who has built three multi-million dollar companies, on-demand delivery and on-demand limo (DMSC), online wine sales (Porthos Inc) and concierge oriented customer loyalty (John Paul). Her focus has been on technology-enabled services. Most recently Linda was named one of the most Influential Women in the Bay Area (San Francisco, CA, USA), Master Entrepreneur of the Year by Ernst & Young, in New Zealand and was the first women to be awarded The Sir Geoffrey Peren Award for most Distinguished Alumni from Massey University in New Zealand. Ms. Jenkinson is active in supporting her community. She is a World Class New Zealander, a director of “Global New Zealand Women”. Linda is also a member of the New Zealand Olympic Counsel, an Advisor for The Icehouse and is a Director and Secretary of the Massey University Foundation. Linda co-founded WOW for Africa, an innovative business-based approach to SME development in West Africa. Linda was a five-year Chair of the Bay Area Red Cross and was a Board Member of the NZTE Silicon Valley Beachhead in the United States. 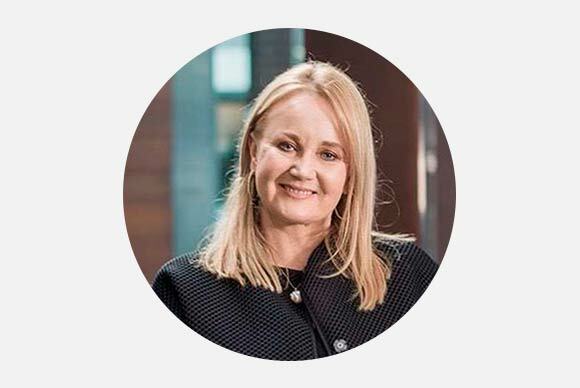 Linda has an MBA from The Wharton School – University of Pennsylvania and a BBS from Massey University in New Zealand in Data Processing and Accounting. She resides in San Francisco and Wellington with her husband, son and daughter.